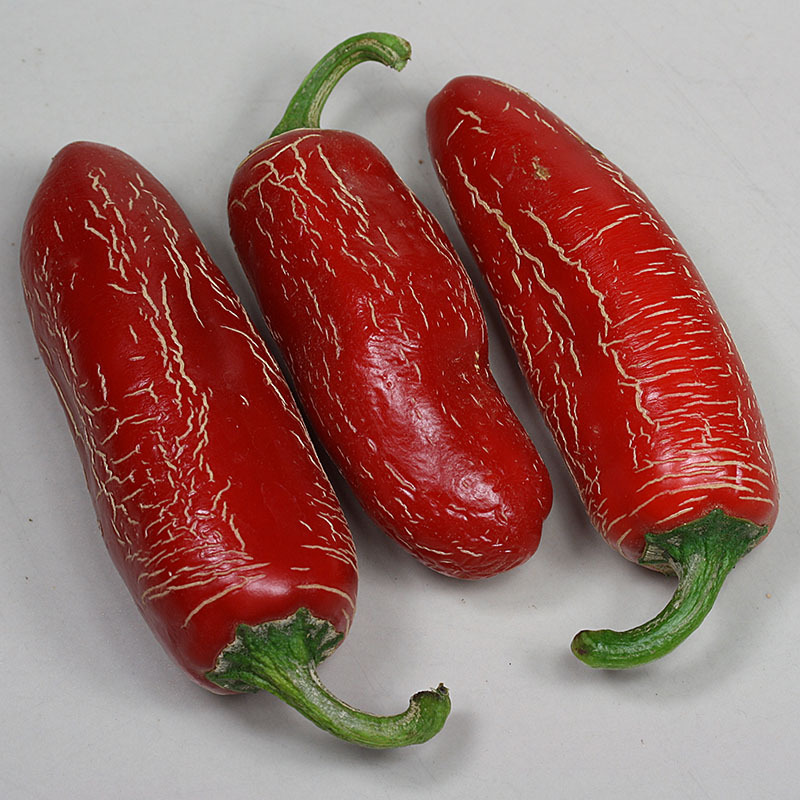 Biker Bills Jalapeño Good medium sized Jalapeño variety with low heat. Characteristic corching. 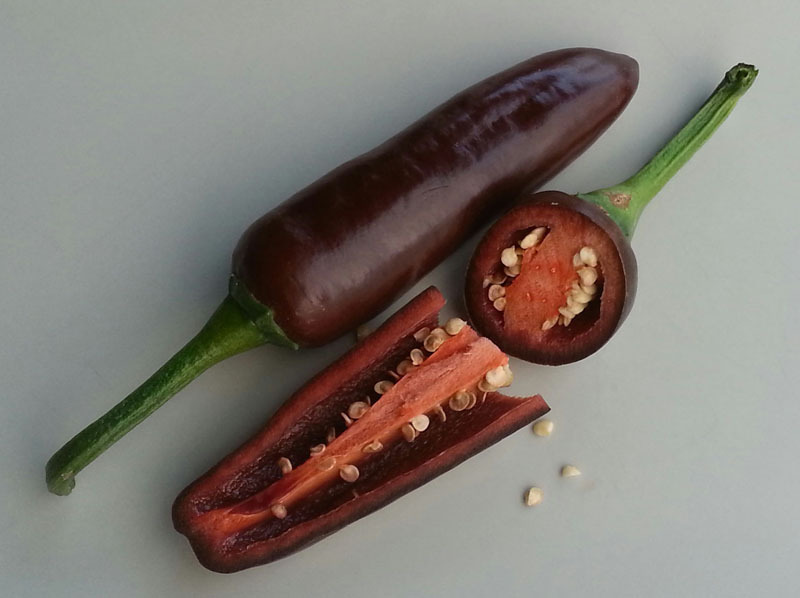 Brown Jalapeño Brown Jalapeño variety with variable heat that has been detected by a German cultivator. 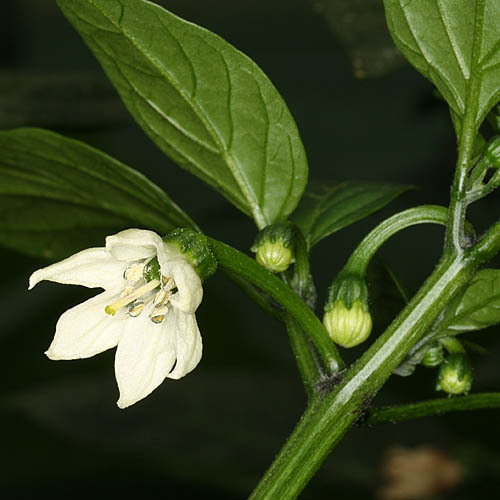 Jalapeño The classic one among the chilis! 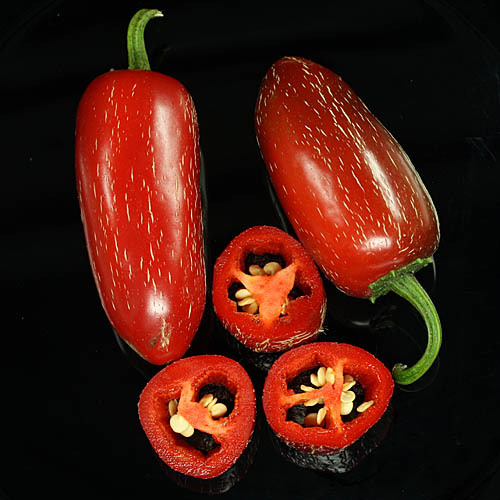 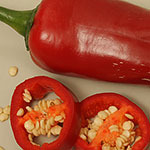 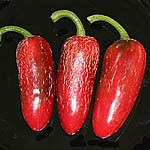 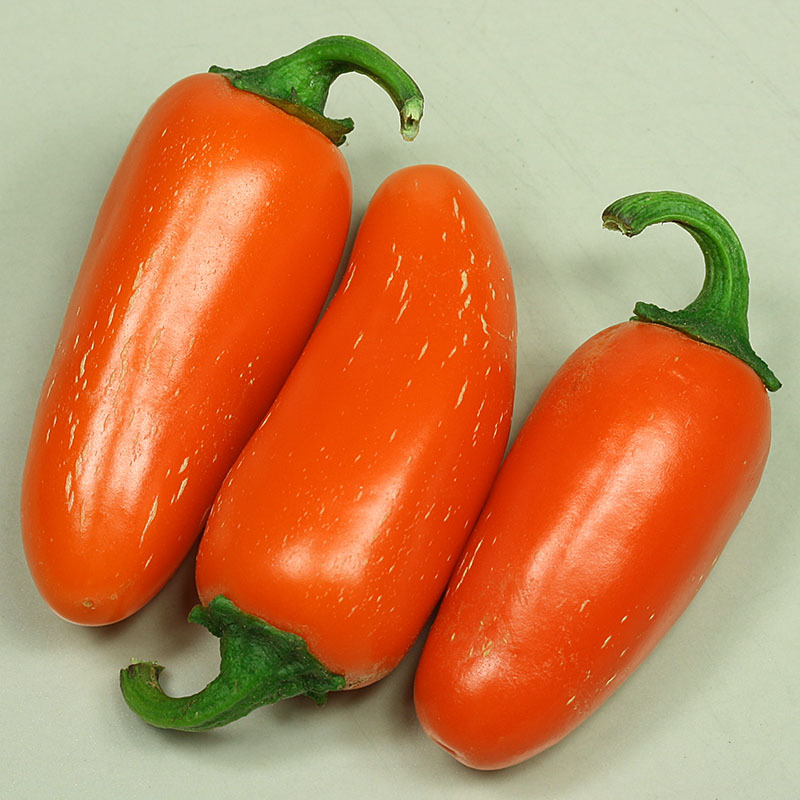 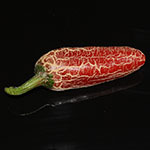 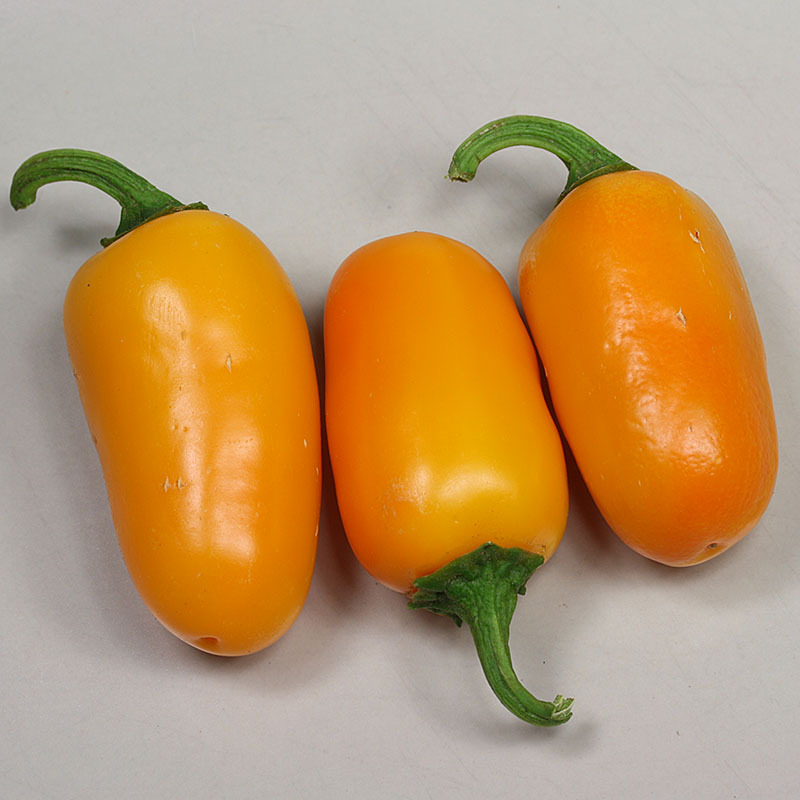 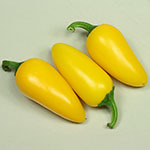 First having been cultivated in South Mexico, now this Capsicum annuum variety is very popular around the whole world. 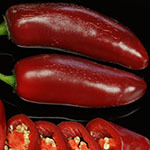 It has low heat and can be used both in its crude green status and when it´s well matured. Jalapeño Conchos Very large Jalapeño with low heat. 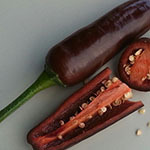 Jalapeño Craig´s Grande Large Jalapeño with low heat. Well suited for stuffing, salads or hot sauces / salsas (Capsicum annuum). 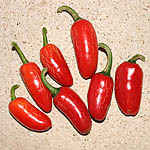 The pods which grow well until a size of 2,0x6,5cm are thick-walled and have a relatively strong heat being a Jalapeños. 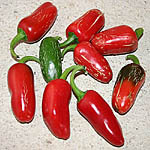 According to CPI it might be around more than 70.000 SCU. 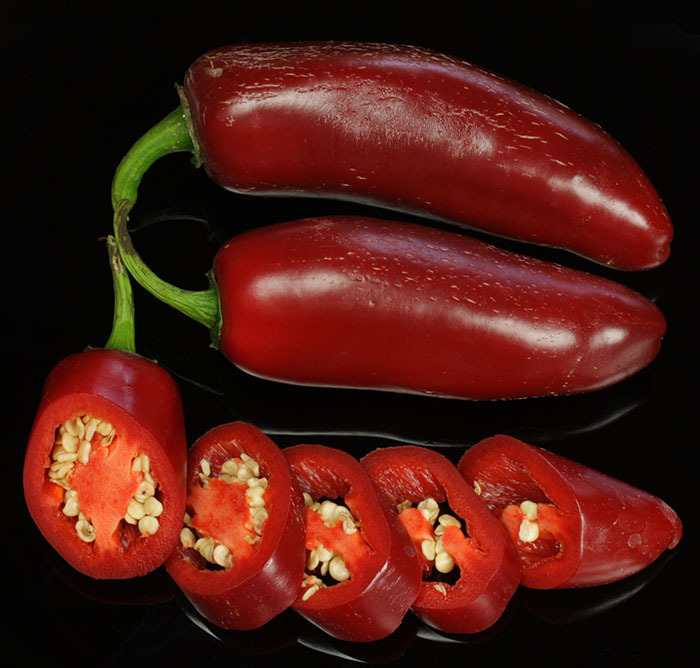 If you put out the inner part of the pod (placenta) and the seeds, the heat is reduced considerably. 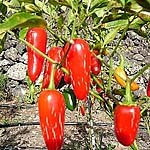 The pods which grow well until a size of 2,5x6,5cm are thick-walled and have a fiery heat. According to CPI it might be around 20.000 SCU. 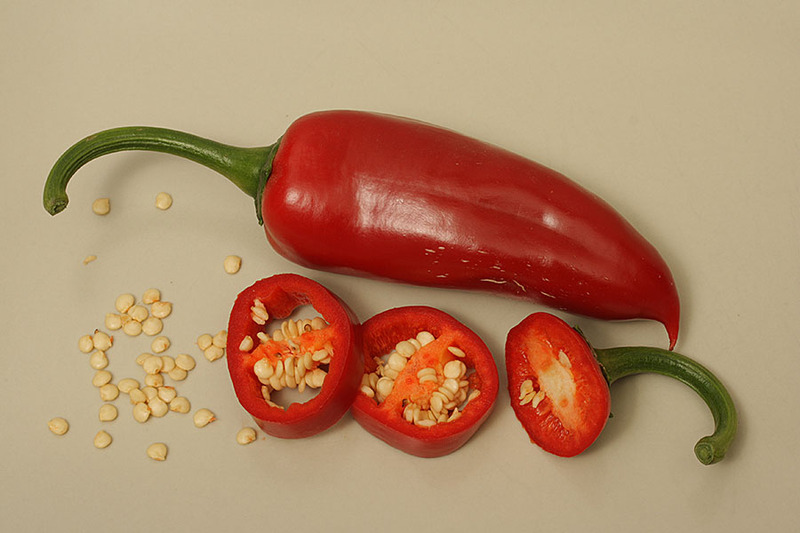 If you put out the inner part of the pods (placenta) including the seeds, the heat will decrease considerably.